Is Ben-Hur in box-office trouble? With tickets on sale and the release date only three weeks away, it is now possible to get a sense of how big an audience the new Ben-Hur might have. 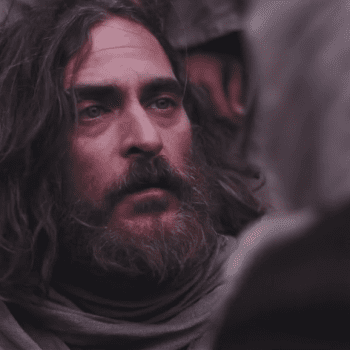 And the news at this point isn’t very encouraging, as The Hollywood Reporter says the big-budget Bible epic is currently on track to gross only $14-15 million in its first weekend. That would actually be one of the better openings for a “faith-based” movie, roughly tying Miracles from Heaven for fourth place behind the opening weekends of Heaven Is for Real, Son of God and The Passion of the Christ. But all of those films cost $30 million or less to produce, whereas Ben-Hur reportedly has a budget of just under $100 million and is supposed to play well outside the “faith-based” niche. It’s particularly striking that Ben-Hur could open so far behind the $25.6 million that Son of God opened to in February 2014. Both films were produced and promoted by Mark Burnett and Roma Downey, but Son of God consisted almost entirely of footage from The Bible — a popular TV miniseries that many of the ticket-buyers already had on DVD — whereas Ben-Hur is an all-new movie made for the big screen. The studio still has three weeks to drum up interest in Ben-Hur, of course. And it’s possible that the people who produce these “tracking” estimates may have a blind spot or two when it comes to the “faith-based” demographic. This could also be a case, like Warcraft, where a film flops in North America but does really well overseas. But there’s one other point worth noting here: Ben-Hur is being produced by the same studio that made Noah. 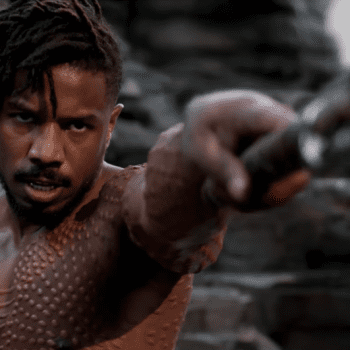 That film opened to $43.7 million and went on to gross $101.2 million in North America and another $261.4 million overseas, for a global total of $362.6 million on a production budget of $125 million. But many evangelicals didn’t like Noah, and it is widely assumed that Paramount brought Burnett and Downey into the Ben-Hur project to help sell the film to the evangelical market. Some people have argued that Paramount teamed up with Burnett and Downey because it had “learned its lesson” from the Noah experience. But if Ben-Hur ends up grossing only a third of what Noah did, then what lesson should Paramount learn from that, exactly? In any case, we’ll see how well Ben-Hur actually does when it opens August 19.